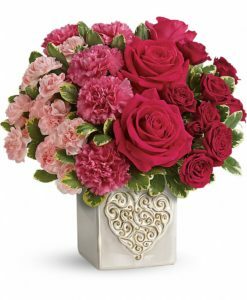 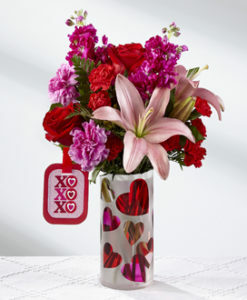 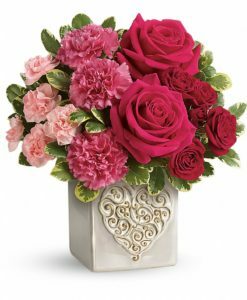 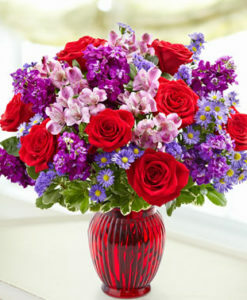 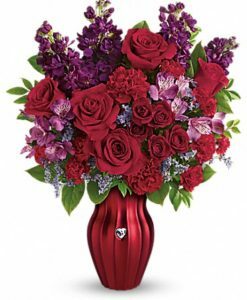 The FTD® Lasting Romance® Bouquet is ready to make your special someone’s heart skip a beat this coming February 14th! 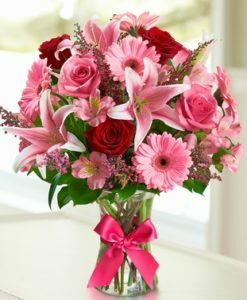 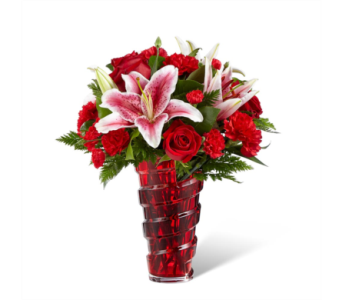 Stunning Stargazer Lilies are set to catch the eye with their soft fragrance and fuchsia and white bi-colored petals, arranged amongst rich red roses, red carnations, and red mini carnations with lush green accents. 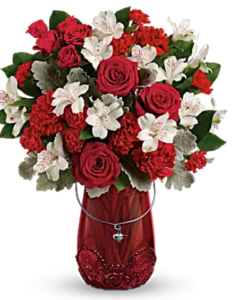 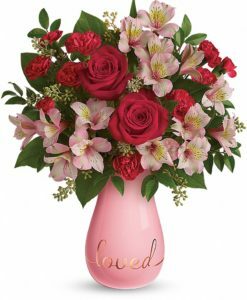 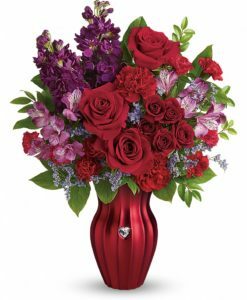 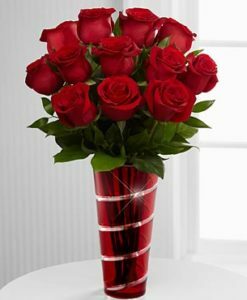 Presented in a keepsake red glass vase with a spiral design starting at the base and looping up to the top to give it a modern styling they will love, this gorgeous Valentine’s Day flower bouquet is the perfect way to express your heart’s every wish.